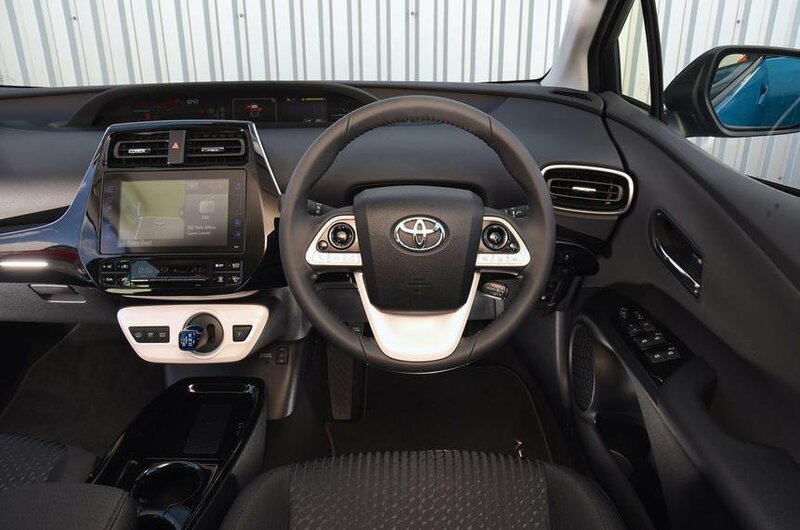 Toyota Prius Plug-in Interior, Sat Nav, Dashboard | What Car? Like the regular Prius, the Plug-in has an interior that's quite striking. It looks high-tech and there are sections of shiny trim that can be had in either gloss black or white, partnered with matching leather. 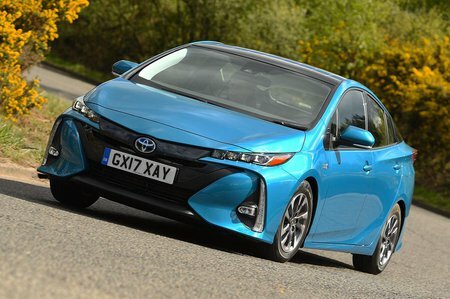 Unfortunately, elsewhere you largely get hard plastics, and although Toyota does throw a few soft-touch surfaces into the mix, there aren’t enough to justify the car’s high asking price. The layout of the dashboard is unconventional, doing away with traditional instruments directly in front of the driver. Instead, there are a pair of 4.2in colour screens that sit atop the dash, slightly to the left of your sight line. The right-hand screen covers basics such as speed and fuel level, while the left shows secondary data, including a highly detailed fuel economy analysis. 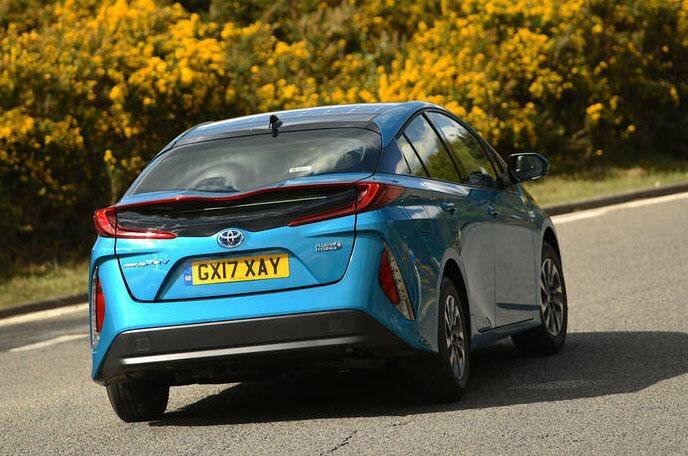 In addition, some versions of the Prius Plug-in feature a head-up display that projects information onto the windscreen, but you miss out on this if you opt for the solar panel roof that Toyota offers as a means of getting extra energy into the car’s battery. Lower down, an 8.0in touchscreen operates the infotainment system (an inch bigger than the screen in the regular Prius), and it’s flanked by supplementary touch-sensitive control panels. But while these panels look good, they can be quite distracting to use on the move, and the screen itself is a little slow to respond at times. While it's easy to find a comfortable position in the driver's seat, the steering wheel could use a little more range in terms of both vertical and horizontal adjustment.